One of the great treats of a good historical movie is viewing the settings where the drama unfolds. In my opinion, a setting or location can make or break a movie. It is part of the time displacement which occurs in a historical movie, just as the descriptive verse of the location in a historical novel transports the reader to a bygone era. If the setting is authentic, then the moviegoer will more readily accept the illusion of the past. And, when dealing with the aristocracy, it is important that a building, mansion, estate or castle be time-appropriate as well as indicative of the gentry’s wealth. I particularly enjoy some of the castles and other grand estates used in movies of epic novels. 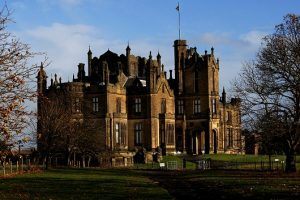 The Allerton Castle used in “The Secret Garden” is one of my favorites. I love how the roof of this castle appears to be a city unto itself, set apart from the walls by its much darker tone. 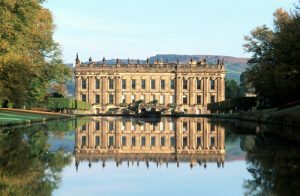 Of course, everyone sighs at the sight of the Pemberly estates used in “Pride and Prejudice.” The 1995 mini-series use of Lyme Park and lake, and the 2005 movie incorporating Chatsworth House and another magnificent lake are positively breathtaking. 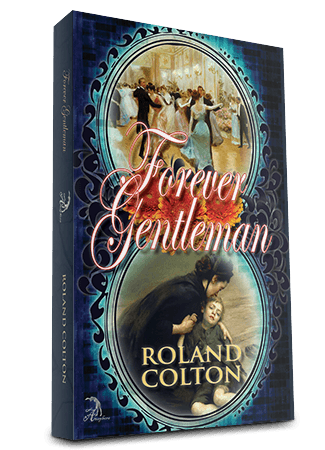 I have heard from several readers of my novel, Forever Gentleman, who have indicated that they are looking forward to seeing the book in a mini-series or movie. Because music provides the backdrop for much of the story, I would be thrilled someday to see the book made into a movie, where readers can hear the music instead of reading the words used to describe the melodies. In addition, a few of the readers have also asked which estates or castles I would like to see used for some of the settings in the book. For those of you who have not yet read the book, you will find that significant events in the story unfold in the Charlesworth London estate. The Charlesworth London estate would be a sight to behold, without question. The book describes the magnificent fifty-step staircase that leads from the entry way down to the ballroom. Above the ballroom are circular balconies extending upward. Is there is a home in London that qualifies? Who knows. But, there are certainly spectacular structures that would convey the stature, size and beauty of a comparable property. 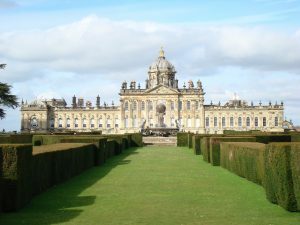 I particularly like the Castle Howard and the Arundel Castle. 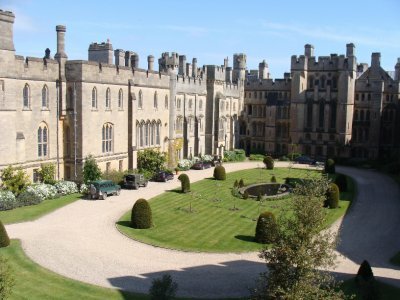 Of the two, I would probably opt for the Arundel Castle as an excellent setting for the Charlesworth London estate. There is also another key scene which takes place at the fictional Haightbury Castle (located an hour from London). 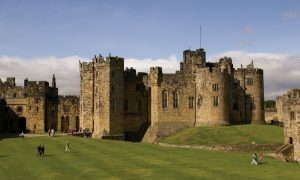 For Haightbury Castle, I would love to see the Alnwick Castle used someday in the movie or mini-series version. We are putting the cart before the horse, so-to-speak, since it is a long road that must be navigated before the book becomes a movie or mini-series. But, one can dream. So, to those of you who have read the book, I would love to hear your thoughts as to which properties you think would be ideal for settings used in the book. Sometimes, it can be fun to put the cart before the horse.